Visit our "Luminosity 2016" Show that will take place from May 11-15 at the Unionville McKay Art Centre. 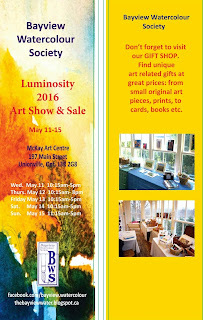 You will find lovely original paintings by local artists, unique art related items from prints to cards. Great chance to get something special for someone or to brighten up your home. Free admission.